New-York based art and antique gallery A La Vieille Russie (ALVR) is preparing to exhibit a cross-section of its inventory at the world-renowned European Fine Art Fair (TEFAF) in the Netherlands. 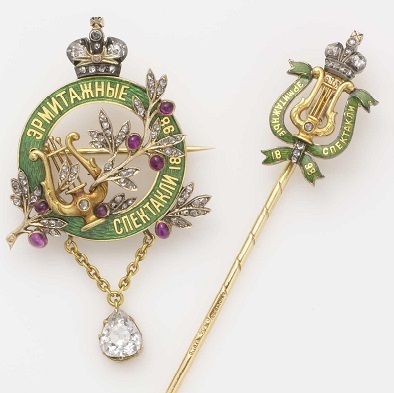 Among the works to be shown will be is a selection of unique pieces by Fabergé including a 19th century presentation charger, a range of jewelry created for the Romanov family, and a collection of miniature hardstone carvings of animals and insects crafted from semi-precious stones. Click here for the accompanying slideshow.